A personalised and human-centric approach to marketing that makes it easier for your customers to buy. Quite simply it's a more human-centric approach to marketing. Conversational Marketing is all about having discussions with your future customers either through one-to-one human conversations or via a smart chatbot. It allows marketing and sales teams to deliver a more personalised service at scale. It makes buying easier for your customers. 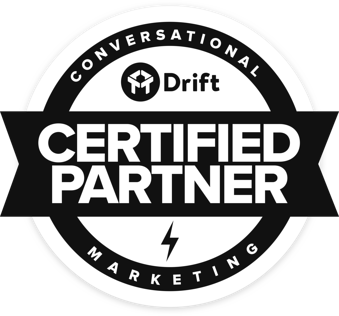 Advance B2B is proud to be an official Drift partner - the world's first and only conversational marketing platform. "Marketing has lost its way. 10-15 years ago it was about opening the door and starting conversations, and then we over-rotated to become about lead generation and MQLs." Conversational marketing is taking marketing back to its roots.